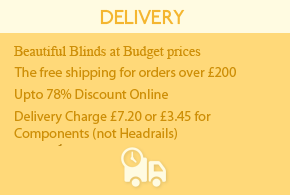 At Blinds4less Direct we offer a vast range of discounted quality made to measure cheap vertical blinds . 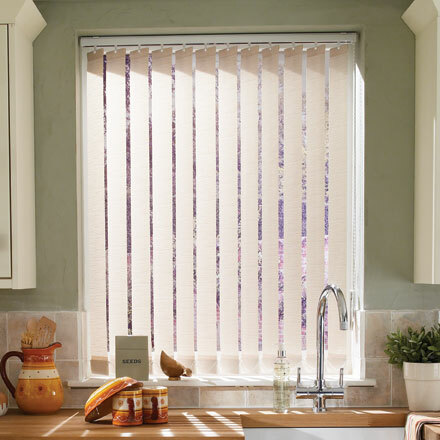 Our budget ranges of vertical blinds include the machine washable Aston fabrics which come in 3 colours. There are the stylish and durable Rhapsody , Collette and Wimbourne vertical blinds fabrics. The most popular Rowan, Maxwell and Henshaw fabrics all feature in our budget range offering our customers a comprehensive range of quality made to measure Vertical fabric from only £14.57.